Dr. Porte has been practicing in California for more than 20 years. 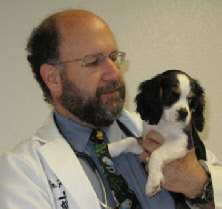 After graduating with honors from the University of California at Davis, Dr. Porte earned his Doctorate of Veterinary Medicine from Washington State University. To further his expertise, Dr. Porte completed an internship in Small Animal Medicine and Surgery at Michigan State University. This internship included special emphasis on Internal Medicine, Neurology, Cardiology, Dermatology, Ophthalmology as well as Soft Tissue and Orthopedic Surgery. During his internship at MSU, Dr. Porte met and married his wife, Lorrie, who also has her own veterinary practice. They live with their two sons and a collection of pets. Dr. Porte attends annual conferences and seminars to ensure his medical knowledge includes the latest research and discoveries. He strives to give your pet the best preventative medicine as well as the most current diagnostics and treatments. Dr. Pandi obtained her undergraduate degree from UC San Diego. After earning her Veterinary degree at the prestigious Royal Veterinary College, in London, she returned to San Diego to practice medicine. Dr. Pandi chose to work at a busy emergency hospital where she developed expertise in surgical and diagnostic skills. Having grown up surrounded by livestock, Dr. Pandi learned to love animals from a young age. Her clients often comment on her care and compassion for their pets. Dr. Pandi lives with her husband in San Diego. They share their home with their dog Boy Oh Boy, who earned his name from having eight different medical conditions. When she’s not dedicating her time to Tri City Veterinary Clinic, Dr Pandi enjoys gardening and ceramics as well as outdoor activities with her husband. 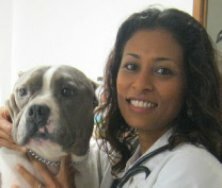 Like Dr. Porte, Dr. Pandi frequently attends continuing education seminars to keep her up to date and to provide your pet the best care possible. Both of our veterinarians are USDA accredited to meet all your Domestic and International Travel Certification needs. If you are planning a trip with your pet, please Contact Us so we can ensure your pet is compliant with travel requirements. Please DO NOT use the online scheduler for travel related appointments. Pets traveling, to Hawaii or internationally, often need six months or more for preparation. Please call or email us as soon as you know about your travel plans.